We’re passionate about changing minds and moving people to positive action, and we have the big, bold ideas do it. At WE, you’ll work with the sharpest minds in the business, telling stories with some of the world’s most exciting brands. 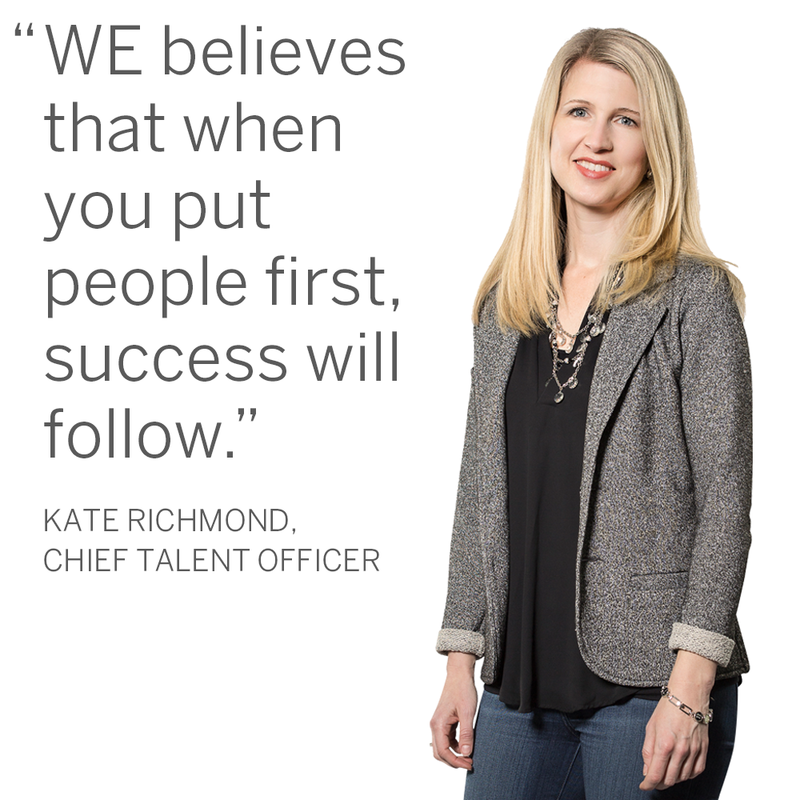 We’re an independent agency, which means we can do what’s right for our employees and put people over profits. Intriguing projects, diverse clients and the most creative co-workers around — is this sounding good? Let’s work together. We’re promoting a diverse, inclusive culture that rewards passion, creative thinking and growth. Through programs, opportunities and flexibility, WE supports employees at the office and in their lives. Explore what it’s like to work with WE. WE Communications is nurturing a community of belonging through collaboration, culture, and connection. Are you interested in honing your skills at an integrated marketing, communications and PR agency that works with innovative brands? Looking for mentorship from some of the smartest people in the industry? Come join us!